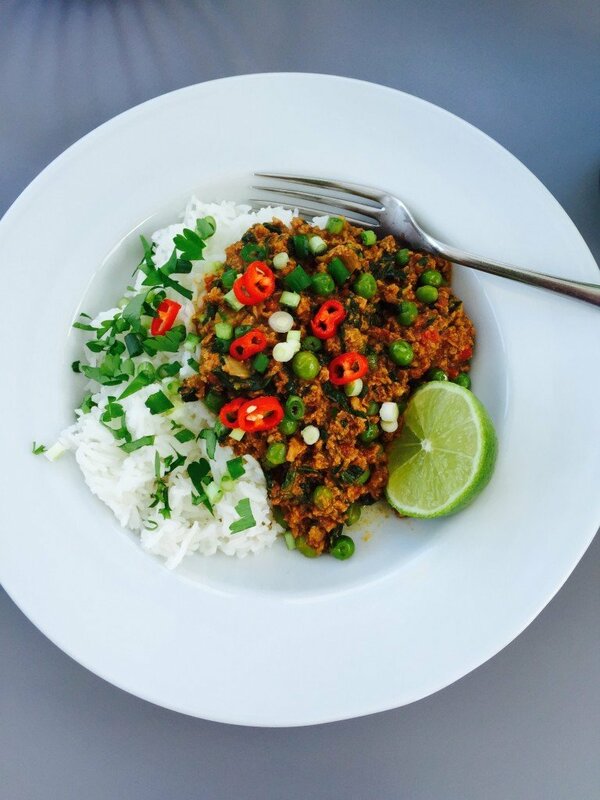 Our slow cooker turkey keema is deliciously light and healthy this easy slow cooker family meal will quickly become a favourite. 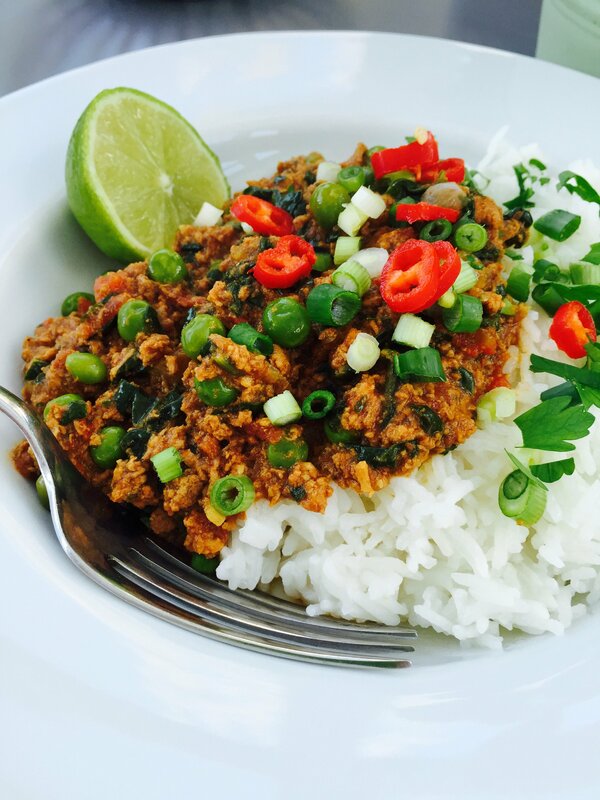 Using turkey mince instead of the traditional lamb really lightens up this curry and gives it a fresh healthy taste. I use a slow cooker with removable pan that can be used on the hob as well as in the slow cooker which makes slow cooker cooking even easier. Add a splash of sunflower oil to the pan, throw in a couple of cloves of chopped garlic and a thumb sized piece of ginger grated, add a finely sliced hot red chilli and a chopped onion. Briskly stir fry for a couple of minutes to soften slightly. Add the turkey mince and fry for a couple more minutes, stir in the curry powder, I use mild when cooking this for the children but it’s tasty made with a hot and spicy curry powder too. Tip in a tin of chopped tomatoes and season with salt and black pepper. Bring to the boil and transfer to the slow cooker. Cook on low for around 8 hours. After 8 hours transfer the pan back onto the hob and stir in the chopped spinach and a couple of handfuls of frozen peas, bring the keema back to the boil and simmer for around 10 minutes to cook the peas. Serve with boiled rice and sprinkle with freshly chopped spring onions, sliced red chilli for extra heat and some torn coriander. Delicious and healthy low fat curry. Add a splash of sunflower oil to the slow cooker pan and gently fry the garlic, ginger, chillies and onions. Add the turkey mince and fry for a couple of minutes. Add the curry powder, tinned tomatoes and season with salt and pepper. Bring the curry to the boil then transfer to the slow cooker and cook on low for 8 hours. After 8 hours transfer the pan back to the hob add the spinach and frozen peas, bring the curry back to the boil then simmer for 10 minutes to cook the peas. Serve with boiled rice and scatter with sliced spring onions and red chillies if you like an extra kick of heat.